Drive is an extremely stylized film that borrows heavily from two different, yet quite separate, eras of American cinema: the 1940s and the 1980s. From the 1940s, the film borrowed heavy traits in its presentation from the popular film noir genre that was at its peak during this era; the soundtrack, filming style and titling attributes were all borrowed from 40 years later in the 1980s, giving off a very reminiscent feel to such films as De Palma’s Scarface. However, as much as I appreciate high stylization for certain films, it does take more than that to be a truly great movie. Ryan Gosling plays our unnamed hero, a part-time mechanic, part-time movie stunt driver and part-time driver for criminal activities. When performing the latter, he has a very standard set of rules which he abides, that are not to be broken. At the body shop, he works for a man named Shannon (Bryan Cranston), who assists him at times and has a history of being involved with criminals like Bernie Rose (Albert Brooks) and Nino (Ron Perlman). Shannon enlists Rose’s help in the amount of $300,000 to fund a stock racing car idea, with Gosling’s character being the driver. Around this same time, Gosling’s character meets his next door neighbor Irene (Carey Mulligan) and her son Benicio (Kaden Leos). He finds that she lives alone with her son because her husband Standard (Oscar Isaac) is in prison, and he and Irene develop a certain relationship together. Upon Oscar’s return, Gosling character (wouldn’t this be easier if he had a name) finds out that Oscar was indebted to some guys from prison who are now threatening his life, as well as Irene and Benicio’s. 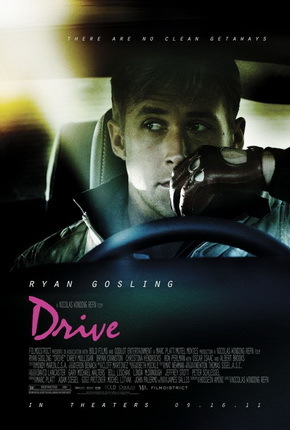 To help, Gosling’s character agrees to be the driver for a job that will clear Oscar of his debts and save Irene and Benicio. Unfortunately, however, the job ends up going very wrong. Directed by Nicholas Winding Refn, this film, as mentioned earlier, is highly stylized and the handling of the visuals works great for the type of picture it is. Newton Thomas Sigel’s cinematography further helps to develop the polished look of the movie, and there many shots throughout that I was very impressed with. I think in a lesser year for cinematography, Sigel would have had a good chance at getting a nomination for this film. Yet, polished looks aside, the story only held my attention to a degree. It was interesting and I liked the film alright, but it wasn’t spectacular by any means. Gosling did a good job in the lead role, as did Albert Brooks. Again, however, Brook’s adoration for his role as Bernie Rose is a bit overrated in my book. Yes, it was a good performance, but it wasn’t anything to write home about; we’ve all seen that character before. I can see how many people really loved this film, and I can see how some didn’t care for it at all. My opinion falls somewhere in between; it was good, but I’ve seen a dozen films off the top of my head with the same basic elements that I thought were better. Love this noir! Great review. Very interesting piece. I think I appreciated the film a bit more but I can understand your reservations. I can see where the film draws its influences from and is therefore not highly original (of course Walter Hill’s The Driver from 1978 is probably its biggest inspiration) but I was completely won over by how Refn put the whole thing together. The use of sound and music, the anonymous Driver, the unrequited love, the fabulous visuals of the action sequences, gave the film both a mystique and an energy than propelled it above anything else I saw in 2011. I think you’re right about Albert Brooks’ role being a bit one-dimensional and conventional but I think he then makes the most of it with an excellent performance. So again, although I see a lack of uniqueness, the film appears to overcome this. Thanks, Dan! I will agree that the soundtrack was amazing, I thoroughly enjoyed it and the visuals. I think this was a classic example of expectations being set too high for me. 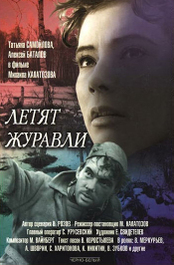 I waited to see this one on DVD, where a lot of my friends went to see it at the theatre. Their rave reviews got me quite excited, and I fear too much so, that unlike “The Artist”, the expectations were not quite met. Possibly seeing this with no prior knowledge or fanfare, I may have rated it higher in my book. It’s definitely a solid film in many regards, but I guess I was looking for that little extra punch. Unfortunately, it still probably ranks fairly high up there for 2011; it seems this was a bit of a lackluster year for cinema with just a few gems that helped save the otherwise abysmal terrain. It seems to be a pattern of late, but as long as Hollywood can make hundreds of millions off movies like the “Transformer” series and other all flash, no heart stories, I guess that will be the playing field for some time to come. I will say “Drive” did take chances in its direction and presentation and, for that, I definitely had to give it respect. Love your site BTW, I found way over via Claire Packer’s site!